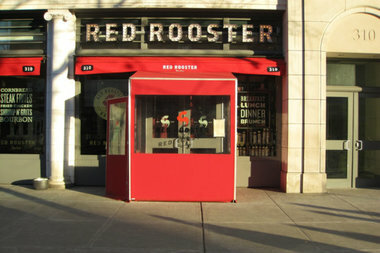 Harlem Park to Park is trying to use the success of restaurants like Red Rooster to showcase the neighborhood's other service industries. HARLEM — Local businesses are coming together to use the success of Harlem’s growing restaurant scene to showcase the neighborhood’s retail, hospitality and cultural institutions. The Harlem Hospitality & Culinary Conference will bring together leaders from service industries to find ways they can work together to develop their businesses, organizers said. Harlem Park to Park, an organization made up of local business owners, is hosting the conference Wednesday at the Schomburg Center for Research in Black Culture. The conference, now in its third year, has mainly highlighted Harlem’s food and beverage industry in the past. But this year they are broadening the scope to find different ways of encouraging visitors to travel uptown, Evans-Hendricks said. Representing the hospitality industry are the owners of two local bed-and-breakfasts, Harlem Grand Bed & Breakfast and Harlem 144 Bead & Breakfast. Harlem's cultural scene will be represented by Harlem School of the Arts, the Apollo Theater and Harlem Stage. The conference falls a few days after the start of Park to Park's biannual Restaurant and Retail Week from Feb. 15 to Feb. 28. Restaurants will offer $20 and $30 prix fixe menus and local shops like Land Yoga, Shatzi Life and Harlem Skin Clinic will have specials. To increase partnerships between culinary and cultural organizations, Harlem Park to Park is launching a monthly “Night of Culture.” People who attend cultural events at institutions like the National Black Theatre or the Studio Museum will be able to get drink and dinner specials at participating restaurants, she said. Although the conference is broadening its scope, the event will stay true to its roots and have panels with some of Harlem’s most notable chefs like Joseph Johnson of The Cecil, Raymond Mohan of LoLo’s Seafood Shack and Marcus Samuelsson of Red Rooster. Aspiring restaurateurs will be able to ask them questions about how to succeed in the restaurant industry, Evans-Hendricks said. “To have the opportunity to be able to talk to Marcus Samuelsson or Joseph Johnson or Raymond Mohan and ask, ‘How did you start?’ and ‘What steps did you take?’ it ends up being a kind of how-to,” she said. Tickets to Wednesday's conference are $50.